The Russo brothers aren’t exactly hurting for work these days. Hot off the heels of Captain America: Civil War, they’re directing the Avengers: Infinity War. But it’s not all strategizing and superheroes—they’re only producing a Mandarin sci-fi film that’s only rumored to be about superheroes, and the TV series they’re developing will center on a “larcenous” family of weed dealers. Still, those comic book adaptations are hard to resist, which is why Deadline reports that the Russos are set to produce a TV adaptation of an Image Comics series. 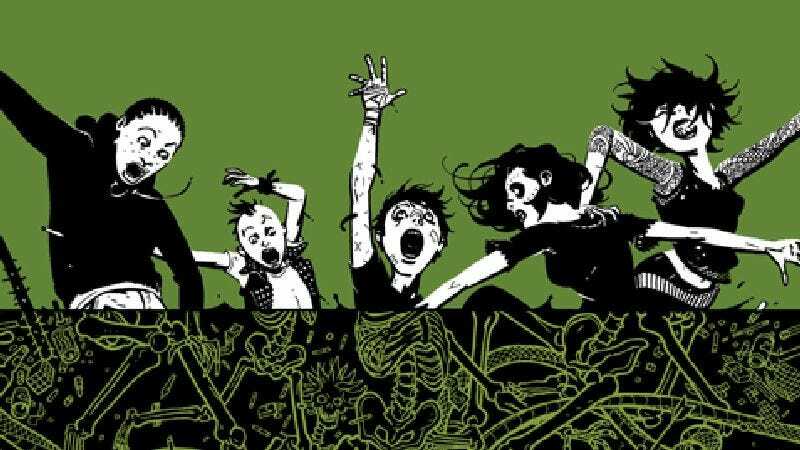 Deadly Class, from Rick Remender and Wes Craig, follows Marcus Lopez, a teen enrolled at an elite academy that recruits “damaged” adolescents in order to mold them into the world’s deadliest assassins (and you thought organic chemistry was tough). Remender is adapting his and Craig’s comic for the small screen with Miles Feld for Sony Pictures TV. It’s being billed as “an unlikely coming-of-age story set against the backdrop of late ’80s counter culture which follows a disillusioned teen recruited into a storied high school for assassins.” Banshee’s Adam Targum is serving as showrunner, and the project is said to be targeted towards “cable networks and streaming services,” two other entities that can’t resist a good comic book adaptation.